Simple the best in UK. Delightful, clean and in great location. 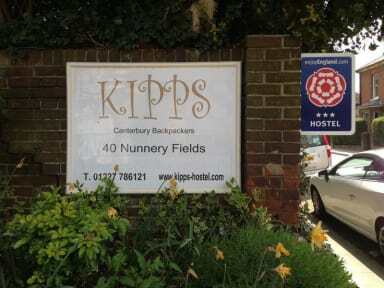 Kipps was a fantastic place to start my UK travels. The bed was very comfortable, the staff were lovely, and all the facilities were clean and of a high standard. The kitchen is massive and easy to use, and the continental breakfast in the morning was more than adequate (they also had Vegemite for Australians!) for a very cheap price. The staff were very helpful and the whole hostel was fantastic. The Hostel is really good, in a great location close to the train and bus station. The atmosphere is great (like in a warm house) and they have enough space for everything. They have towels in the shower (I've never find a hostel like that) and also they wash the dirty dishes of their customers (no so normal in a hostel too). Everything was great :) Thank you so much guys ! This is such a great hostel! It was very homely and comfortable. Everything was clean, they make the beds everyday, free fresh towels, full kitchen and a comfy lounge area. Perfect place to relax after a long or busy day. The staff at Kipps Hostel were very helpful and accommodating. I arrived about an hour before check-in time, expecting that I would have to wait in the lounge for a while, but was told that the room had already been cleaned and I could check in and go straight up. On my last day, they let me leave a huge pile of heavy luggage with them after I had checked out; I picked it up that evening. My only complaint is poor water pressure in the showers, but I understand this is being fixed. It's the little touches that made me love this hostel. I stayed in an 8-person mixed dorm. The bed was incredibly comfortable with multiple pillows (unheard of in hostels! ), a thick towel & a lolly on each bed, as well as a brochure on what was on in Canterbury! The bathroom even had toiletries available for everyone to use. It was warm, cosy, very clean & walking distance to the main part of Canterbury. The breakfast was an absolute bargain & included more than I expected! 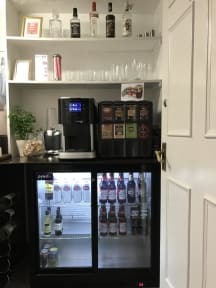 Friendly staff and good kitchen amenities. 15 min walk to the Cathedral, 30 to the railway station (C west). Bunks functional but a bit tired in places. Clean shower and toilet, lots of hot water. Could do with additional mains sockets as people kept unplugging my light to use it. Maybe get those sockets with usb sockets included? The building is a bit old and some of the doors were not working but they were going to be doing maintenance the next week. Overall it was very clean and comfortable. Its about 10 minutes from city centre and very quiet. I would stay again.